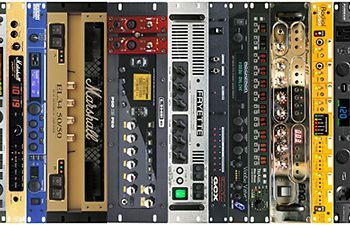 Home›Tutorials›Recording/Live Sound Tutorials›Your New Studio Macintosh Is Finally Here… And it’s not the iMac Pro. And it’s not the iMac Pro. Many musicians and recording engineers have felt left out by Apple’s apparent abandonment of the Mac Pro platform, which remained at the same old configuration spec since the introduction of the “trash can” design in 2013. While processors and interfaces improved for the Wintel crowd, the Mac Pro remained in the past, all while retaining a lofty price that made it a horrendous value. As a result, most studio owners stuck with their previous generation, 2010-12 Mac Pro tower computers, which had internal expansion options galore, and didn’t lag terribly compared with the newer design. But those machines are well past their prime, and power users need to move forward. Apple Inc. finally announced in 2017 that they were not abandoning the professional user—and hinted that a new Mac Pro design was in the works, but there’s still nothing new looming on the horizon, and we’ve got records to make! We’re happy to report that Apple finally introduced new computers worthy of your upgrade dollars in 2017, but the Mac you want is probably not the computer you’re thinking of—which is a good thing, as that Mac costs a small fortune. Apple is getting ready to ship the iMac Pro, a monstrously powerful computer that can be loaded with up to 18 Intel Xeon processor cores. But this powerhouse, starting at $5,000 in its base configuration (8-core), is (thankfully) not the droid you’re looking for, or at least, not the droid you need to spend for. No doubt, the iMac Pro is a killer workstation, and it presents a solid value for a high-end workstation, but it is optimized for blistering graphics work, primarily in the worlds of virtual reality (VR) development and 3-D modeling. You’re paying a fortune for graphics capabilities and parallel processing that mean nothing in an audio production environment. Audio processing thrives on fewer cores running at higher clock speeds than on more cores running slower due to the linear nature of processing audio streams. Additionally, lightning-fast GPUs and graphics systems are completely unnecessary for watching your audio applications. In fact, the new Mac for your studio is hiding in plain sight, and it’s a 27” iMac with Retina 5k display and a few simple upgrades. Our top pick for the serious/professional Mac-based studio is this new speed demon, with the factory CPU optional upgrade to a 4.2Ghz quad-core 7th generation Intel Core i7, with Turbo Boost up to 4.5GHz. 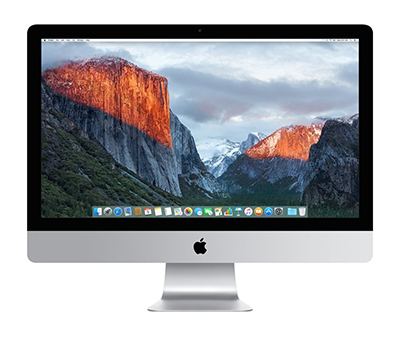 This iMac can accommodate up to 64GB of DDR4 RAM, and can be ordered with up to 2TB of M.2 solid-state storage (Do not accept the default Fusion drive under any circumstance due to performance and reliability issues). Our studio iMac was ordered with the i7 upgrade, 8GB RAM and a 1TB SSD for $3,099. 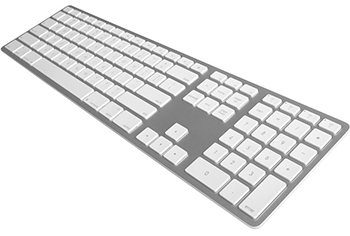 We also opted for the wireless Apple Magic Keyboard with Numeric Keypad, something we’ve been waiting at least ten years for. We then purchased an additional 32GB of RAM from Crucial.com, bringing our iMac's total RAM to 40GB, and saving us $600 dollars over Apple’s inflated RAM prices (which only gets you 32GB total). While RAM is user upgradable, the internal drive storage isn’t, so we recommend that you replace the default Fusion Drive with either 1TB or 2TB of pure SSD storage when ordering your custom configuration. We find 1TB more than large enough, as the boot volume should really just contain the operating system, your installed applications (like your DAW), basic documents/files, and your plug-ins. Your large sample libraries and all audio recordings/sessions should be recorded to other external disk volumes. The performance of this new iMac is blistering fast, and in straight-up benchmarks courtesy of GeekBench (see all Mac test scores here), the new 27” iMac, 4-core, 4.2GHz i7 is the fastest Mac ever for single-core processing tasks, delivering performance numbers 33% faster than the 8-core, 3GHz, 2013 Mac Pro and 48% faster than the classic 6-core, 3.3GHz 2010 Mac Pro. You’d think that multi-core specs would make the Xeon-based Mac Pros blow away the competition, but with the base configurations, that’s not the case entirely. The 2013 Mac Pro does, in fact, best the 4.2GHz iMac, but only by 14%. Your beloved “cheese grater” Mac Pro from 2010-12? Turns out the new iMac benchmarks at 33% faster, with half as many CPU cores. And again, it’s the single-core performance that will make the largest difference for the majority of DAW users. Also keep in mind that the benchmarks are done with stock configurations, such as 8GB RAM and a Fusion drive in the iMac. Your results should be even more impressive once you swap that for a pure M.2 SSD drive and bump up the RAM (we ran GeekBench on our own computers and achieved very similar results to the posted results from GeekBench.com). With support for multiple displays built-in, we easily connected the 27” Apple Cinema Display from our old Mac Pro to server as a secondary display. While we haven’t come up with an adequate Pro Tools test session yet to bring our system to its knees, this machine is a dream at handling large, multitrack, rock and pop recording sessions loaded up with plug-ins like the Slate Virtual Console Collection installed across all tracks, Waves Gold and Eventide plug-ins on numerous tracks, some virtual instruments, and more. Given the limited number of ports on an iMac compared with a Mac Pro or the new iMac Pro, you’ll need some expansion help. For this, we added the OWC Thunderbolt 3 Dock (reviewed here), which gave us much greater flexibility for attaching additional displays, external storage, and audio interfaces. 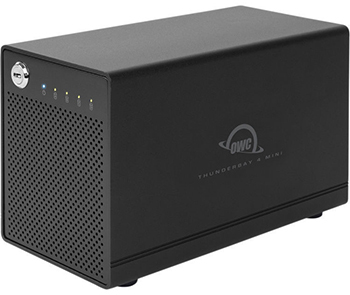 Another OWC product, the ThunderBay 4 mini, was purchased to house multiple 2.5” solid-state drives for our audio work. We’ve actually done away with traditional 3.5” hard drives other than for economic data backups these days, but if you still rely on traditional spinning platters (they’re certainly cheaper), the OWC ThunderBay 4 (non-mini) holds a mix of both 2.5” and 3.5” drives. Ideally, we would prefer to have all of our drives and interface ports built into a single, integrated box like our old 2010-12 Mac Pro rather than having a few external drive enclosures on/near our desk, but while we’re waiting for Apple to deliver new Mac Pro machines (most likely mid to late 2018), the new 27” iMac Retina 5k machine is a studio delight, and the fastest Macintosh we’ve ever had the pleasure of working with in the studio.